Jennifer Berne is the author of the acclaimed Manfish, about Jacques Cousteau, and spends her time writing children's books about the subjects she loves most—our amazing universe and the people who are passionate about it. She lives in Copake, New York. Vladimir Radunsky, when not creating award-winning children's books, refills his soul with the sounds of Bach, Chopin, and Snoop Dogg. He lives in Rome, Italy. 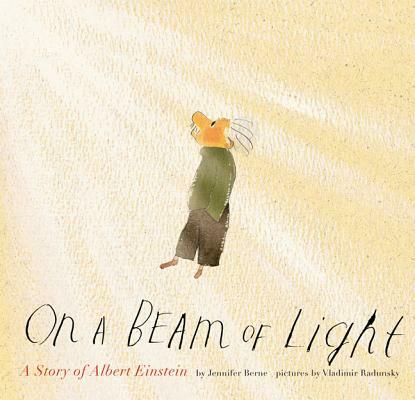 "On a Beam of Light reminds us that imagination is important, and that thinking is valuable. A great message for the little scientist in your life!" - Emily, bookseller, Hooray for Books!